Before Ted Leonsis purchased the Washington Capitals in 1999, the Caps were headed by Abe Pollin. Pollin, who passed away in November 2009, was the Capitals owner from the team’s inception in 1974 to 1999, when he sold the franchise to Leonsis. 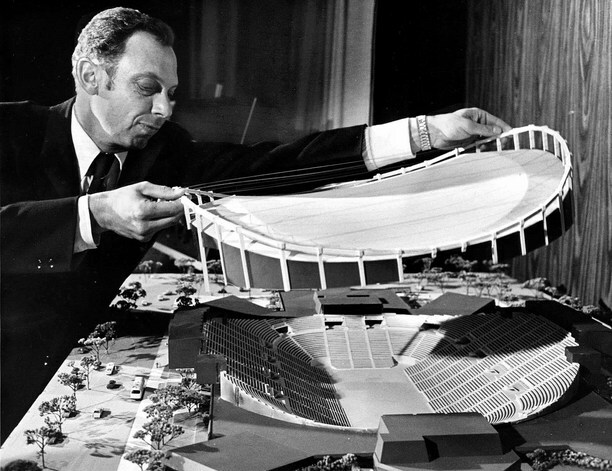 During his time as owner, Pollin oversaw the Capitals’ rise to prominence in 1982 and was the mastermind behind the creation of the MCI Center (now the Verizon Center). 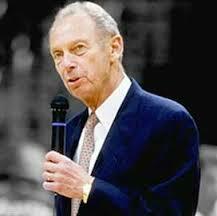 He also owned the Washington Bullets/Wizards and Washington Mystics, and both the Bullets and Capitals played at the old Capital Centre and both moved to the MCI/Verizon Center in 1997. Pollin’s wife sold the Wizards and Mystics to Leonsis after his death in 2009. Pollin was born in Philadelphia, Pennsylvania on December 3, 1923 and was raised in a Jewish family. He moved to the District in 1931 and he graduated from George Washington University and then worked for his father’s construction company until he began his own around 1957. Pollin showed strong support for his community, and often gave students scholarships. In addition to construction and sports, Mr. Pollin also developed real estate and was a philanthropist throughout the D.C. area. Mr. Pollin was an avid hockey fan, and was heavily involved with not only the Caps, but the Bullets/Wizards as well. When he hired former Caps GM David Poile in 1982, Poile traded former first-round picks Rick Green and Ryan Walter to the Montreal Canadiens for Rod Langway, Craig Laughlin, Doug Jarvis, and Bryan Engblom. Walter was Pollin’s favorite player, and according to Poile, Mr. Pollin told him “I hope you know what you’re doing!”. Mr. Pollin was inducted into the National Jewish Sports Hall of Fame in March 2011, the GWU Hall of Fame in March 2009, and the Verizon Center block of F Street was rechristened “Abe Pollin Way”. Adrian Fenty, a D.C. mayor, named December 3rd (Pollin’s birthdate) “Abe Pollin Day” in 2007. Mr. Pollin came under some controversy in 1996, when he changed the Washington Bullets to the Washington Wizards. Why? Because “Wizard” is a ranking in the Ku Klux Klan and while the reason for deserting the “Bullets” designation was justifiable (Pollin felt it promoted violence, as the team’s slogan was “faster than a speeding bullet”), the new name became even more noteworthy due to the DC area’s African-American community’s initial displeasure with the name. Mr. Pollin married his wife Irene on June 10, 1945 and has two children, Robert and James. He died of corticobasal degeneration, a very rare form of brain disease. Ironically, Mr. Pollin donated more than $3 million to finding the cure of the disease that ended his life. In his lifetime, Mr. Pollin did lots of good for his beloved hometown and warmed the hearts of many and left an impact on the city he loved. While he may be gone, Abe Pollin is certainly still remembered by many whose lives were changed for the better by the man who for so long ran the Caps with an iron fist. This entry was posted in History, Management and tagged Abe Pollin, Michael Fleetwood. Bookmark the permalink.